CKD Galbraith is delighted to announce that we are now Sponsors and Official Property Advisors to Edinburgh Rugby. CKD Galbraith is delighted to announce its sponsorship and status as official property advisors to Edinburgh Rugby. As Scotland's leading independent property consultancy, we are looking forward to providing our expert services to Edinburgh Rugby, its players and supporters. We've been on the lookout for something a little bit different to add to our sponsorship mix. We are no stranger to the agricultural show and game fair circuit and we continue to wholeheartedly support these events. However, this exciting new venture with Edinburgh Rugby allows us to raise awareness of our services to a wider audience. 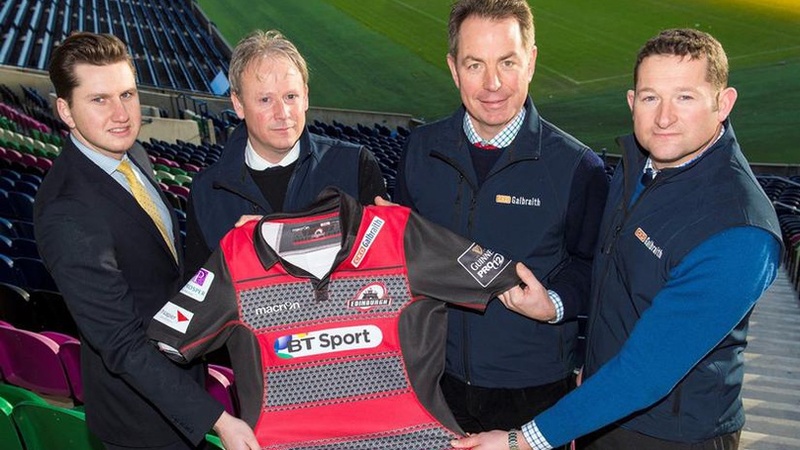 Our relationship with Edinburgh Rugby began at the end of last year when we became members of their business club and quickly began to see the benefits. We were delighted when the opportunity arose to support the club with a more substantial sponsorship deal and naturally we grabbed it with both hands!